Pink-haired Harajuku girl sporting pink from head to toes with striped shirt dress, pink boots, and heart-shaped bag. Beauty school student wearing a green vest and a striped dress in Harajuku. Pop idol and model A-pon in Harajuku wearing a colorful dress, white sneakers, and a pink see through waist bag. Harajuku girl in minimalist street style while out and about on the street. 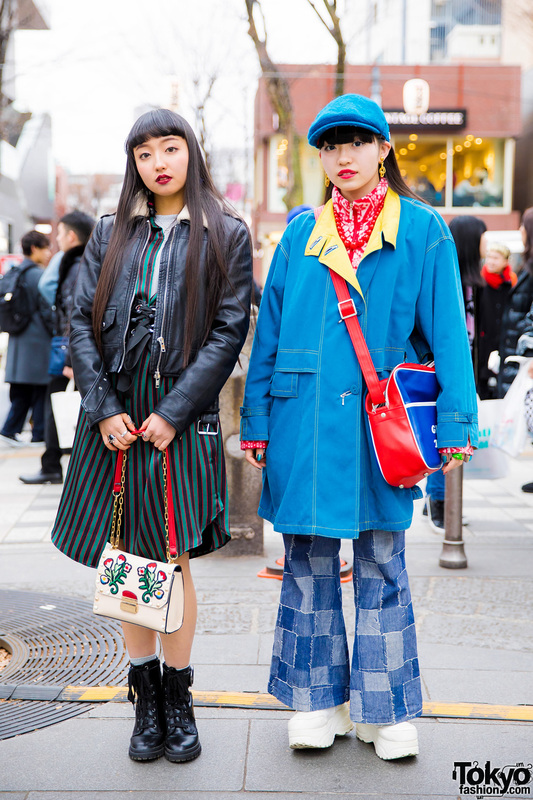 Harajuku girls sporting long colorful winter coats with a printed blouse, black pants, striped dress, and platform shoes. 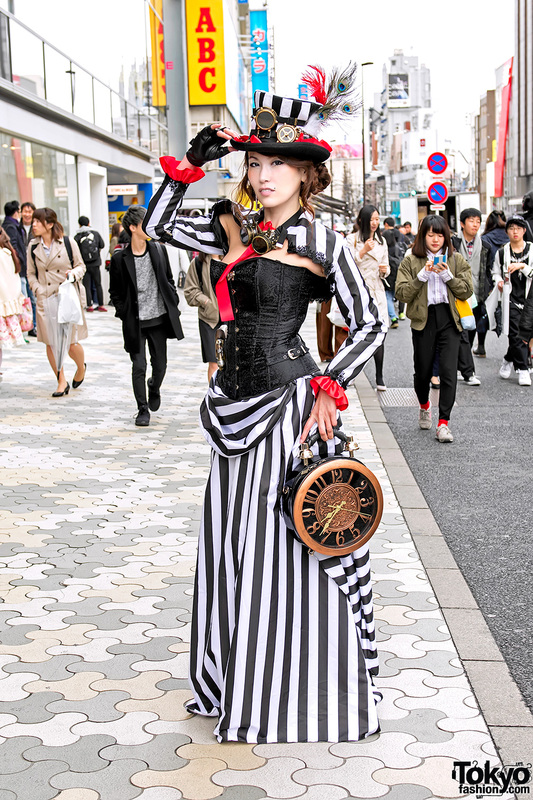 Harajuku girl wearing a striped dress with steampunk accessories and carrying a large antique clock purse. Harajuku girl in striped maxi shirt dress over turtleneck, with black rucksack & lace-up boots.